This Is How They Do It: The 5 Most Efficient Social Media Campaigns From Super Bowl XLIX 0 out of 5 based on 0 ratings. 0 user reviews. Super Bowl 50 is coming up and as every football fan knows – Super Bowl ads are a big part of Game Day. Total ad spending has skyrocketed in the last decade, from slightly over $150 million in 2005 to almost $350 million in 2014. According to CNN, the average cost for a 30-second spot in last year’s Super Bowl was $4.5 million and the price has hit $5 million for a slot in Super Bowl 50. The average yearly rise in the cost of a Super Bowl spot since the first game was broadcast in 1967 is a staggering 10%. Since advertising during the game is so expensive, companies have to walk the extra mile and pull a long, grinding marathon of social media campaigns to squeeze every ounce of memorability out of that costly 30 to 60 second spot. 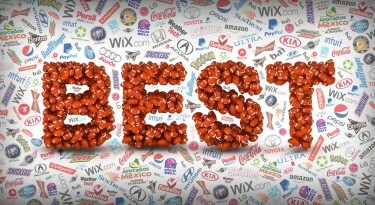 According to marketingland.com, 50% of 2015 Super Bowl ads – 28 of them in total – carried hashtags, and Facebook was the social network most mentioned in the ads. While it’s fairly easy to count hashtags and mentions, quantifying and evaluating engagement as it relates to a brand’s overall campaign (that is, in the months before, the hours during and the days after the Super Bowl) is a whole other ballgame. Luckily search and digital marketing agency, Merkle|RKG, does just that; the people there work hard after each Super Bowl to put together an annual “Digital Bowl Report” in which they analyze how well advertisers supported their Super Bowl campaigns across the main digital channels – social media, paid search, email, SEO and display advertising. Merkle looks at three major categories – Content, Engagement and Conversation – and rates each on a scale from 0-3. 0 usually stands for such bummers as “forgot to show up” or “warmed the bench,” while 3 – the highest available score – stands for “MVP-caliber engagement” and so forth. After looking closely at Merkle’s report from 2015, we’ve got the CliffsNotes version for you here. 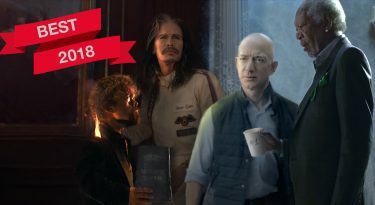 We’ve summed up what the 5 top advertisers – the Social Media All Stars of Super Bowl XLIX – did right, while also glancing back at some awesome real-time campaigning that took place during the Big Game. In Merkle’s 2015 Digital Bowl Report, there was one, clear winner: first-time advertiser Wix.com, the cloud-based website builder. The Wix campaign featured former NFL legends Brett Favre, Emmitt Smith, Terrell Owens, Larry Allen and Franco Harris. The aim of the campaign was to promote the company’s easy-to-use website building platform to individuals and small businesses, while linking the concept to football’s biggest day. The #ItsThatEasy landing page was rich in content, including everything from wedding cake video games to tips for making party platters (Brett Favre’s meat and cheese platters, that is). Plus, Wix had a blog that was constantly updated with anything and everything related to football, the NFL and Super Bowl commercials and campaigns. According to Merkle, Wix dominated social media by “bringing best-in-class real-time and ‘on-product’ content” and even creating a website on the fly for Doritos – using their platform, naturally. In addition to the game-time spot itself, Wix created websites, Twitter handles and Facebook pages for the five legendary NFL players who starred in their commercial. Wix also created an online hub where fans could track all of the contests. Bud Light came in second at the 2015 Digital Bowl Report, registering strong results for Content, Engagement and Conversation. Again using their 2014 hashtag, #UpForWhatever, Bud Light’s branded landing page featured user-generated Instagram posts organized in categories designed to make browsing easy. The beer company also created over 140 messages on their bottles as part of the campaign “to encourage spontaneous fun.” The campaign did hit one hitch when Bud Light chose to label their bottles with the phrase, “The perfect beer for removing no from your vocabulary for the night #UpForWhatever.” After angering many fans (duh! ), the beer giant quickly issued an apology. Barring that not-so-small mishap, the folks at Anheuser-Busch did very well on social media promoting both Bud Light and Budweiser. The latter came in third in the 2015 Digital Bowl Report. Some of Budweiser’s real-time tweets during the game were re-tweet favorite among fans on Super Bowl night. Placing fourth in the 2015 Digital Bowl was Doritos, a veteran in the game and a strong social media contestant every year. For the 9th straight year, Doritos let their fans do their dirty work for them in their annual Crash the Super Bowl ad competition. 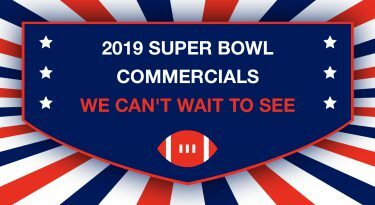 They invited people to create their won Super Bowl ad and compete for the privilege to see their commercial aired on game night. Last year, Doritos gave out ad spots to two lucky winners. Doritos seems to have found a winning formula – keeping audiences engaged, exploiting awesome user-generated content (and bulks of it, too) and finally – hacking the Super Bowl in real time. Coca-Cola kept it positive last year by inviting their fans to help them take on the Internet’s trolls and haters. They were the only brand to make social media the core of its campaign, rather than just another channel to promote it. The campaign’s hashtag, #MakeItHappy, was both upbeat and memorable. 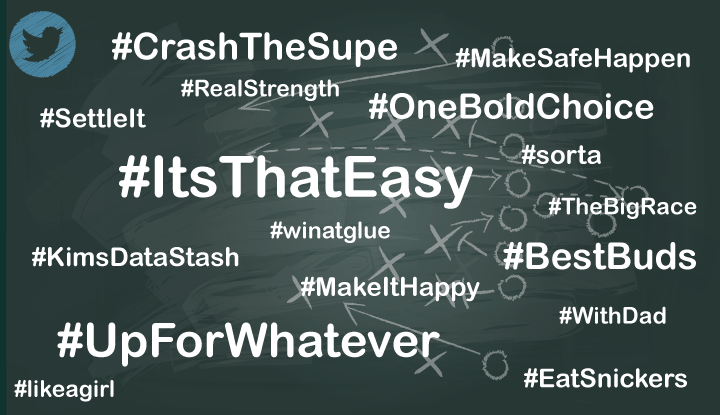 According to the Hootsuite blog, which measured the campaign’s reach and sentiment, #MakeItHappy received 162,000 mentions post-game mentions, a 33% positive sentiment score and over 6 billion impressions, making it one of 2015’s top-performing Super Bowl campaigns on social media. While the 2015 Digital Bowl Report complained that Coke’s content was beginning to look repetitive a few hours after the game, they agreed that it did infuse some fresh life into the veteran brand.